small area, welcome to come and take a look at it. event starts at 6:45pm-7:30pm. We will start to bring residents down at 6:00am. You are welcome to come in at 6 to start getting yourselves organize or earlier. As long as the event starts right at 6:45pm. This is for our seniors in a long term care home. We are looking for our Halloween social. please inform me of your budge for a 45 min show. The event will start at 6:45pm-7:30pm Oct 31.
it's in the garden, in a 3 acre ranch, so plenty of space. my girlfriend trusts their taste...no preference. depends what they need. no strict rules. It will be an intimate wedding, my wife-to-be's family is from Mexico City, and we also will have guest from overseas that would enjoy to have this traditional music. Arriving on the music scene in the late 19th century, Mariachi Bands brought an upbeat yet traditional sound to Mexican culture. With a blend of guitars, violins, trumpets, the guitarron, and the vihuela, Mariachi music can truly liven up a party! The upbeat authentic Mexican folk music is the perfect accompaniment for wedding receptions, Cinco de Mayo parties, and so much more. 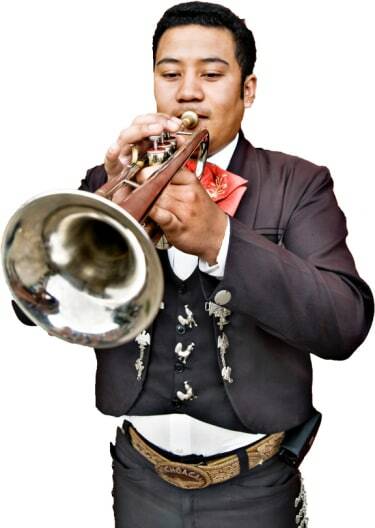 Search for Mariachi Bands in Hamilton, Ontario above. Please note that these Mariachi Bands may also travel to Stoney Creek, Stony, Winona, Hamilton Beach, Grimsby, Hannon, Burlington, Burlington, Binbrook, Kilbride, Mount Hope, Waterdown, Caistorville, St Anns, Smithville, Bronte, Caistor Centre, Grassie, Beamsville, Campden, Alberton, Dundas, Ancaster, West Flamborough, Millgrove, Palermo, Caledonia, Vineland, Carlisle, and Copetown.